B. Ed (Educational Psych)(UJ), Psychometrist (PMT 32450), EEG Technician (EE0001805), Neurofeedback trainer & Therapist, BCIA-EEG: E 5064 (USA), Level 2 Tomatis practitioner. “As a post graduate student I became fascinated with the thinking styles of children with AD/HD, but soon realized that there was a minefield of information available. When it came to diagnosing children with AD/HD, it soon became evident, that merely completing a checklist is not sufficient for anxious parents who are looking for a diagnoses and solution to the problem. 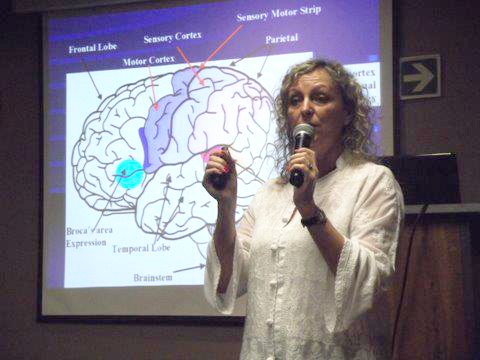 When I pioneered Neurotherapy in SA, it soon also became evident that the clientele that we were dealing with, were parents that have exhausted all traditional approaches and unfortunately little progress could be seen or maintained after the therapy was terminated. the medication, there is still a group where this approach is not successful.